The hardship for the people of Madagascar, and especially on the countryside, seems to be a never ending road. Despite traveling in one of the poorest countries in the world - I haver never met so many smiles and lovely people long the roads, as here. 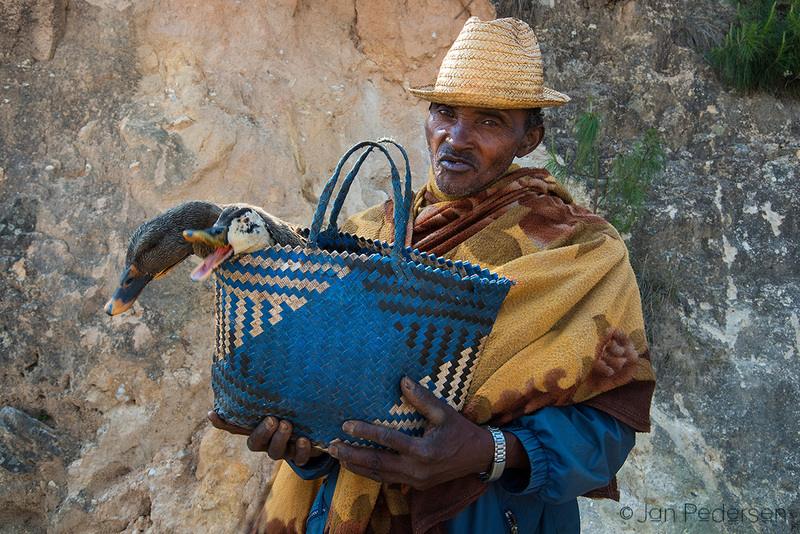 Paul Rahasse, on this image, is on his way to the market to sell his 3 ducks and hope it will bring the fabulous amount of 5€ for all 3 together. We are living in different worlds and we need to reflect more about our crazy overconsumption in our own part of the world.